Mesmerizing & Tantalizing Wedding Photography Service! 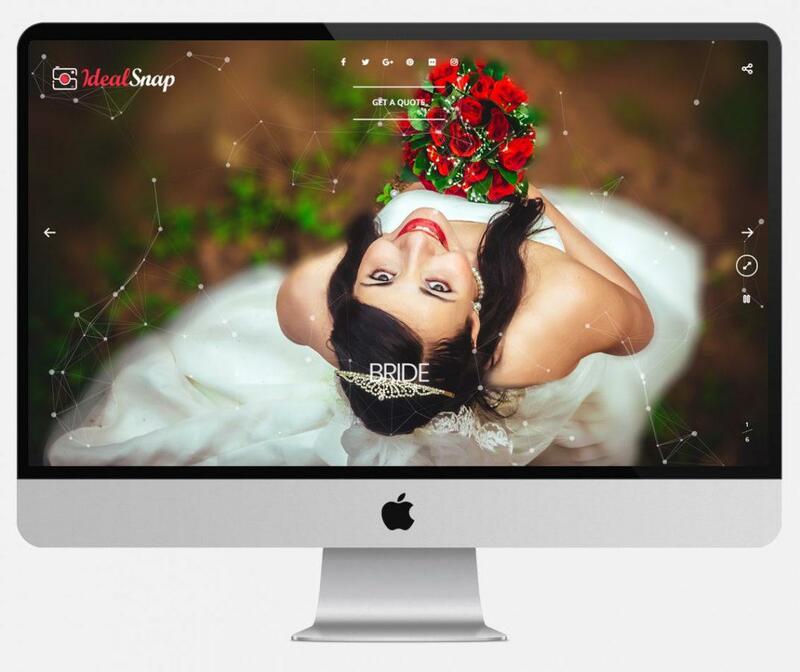 Ideal Snap is committed to revitalize and change the trends of wedding photography. We shoot close-to-reality wedding poses to make it look natural. Capturing Wedding Moments in Ultra High Definition! Our every snap clicked aims at capturing your happiest wedding moments in the ultra-high definition. 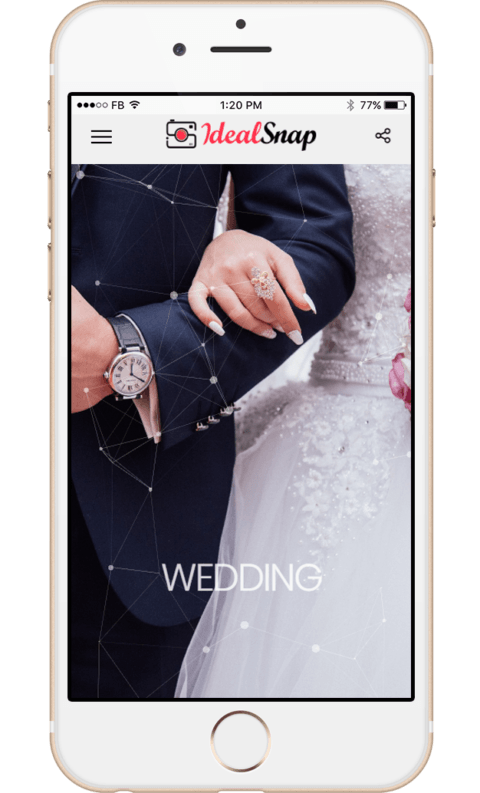 So, every time you take a look of the snap, you do not only view a picture but live the moment with high-quality wedding images. We make the imaginative yet lively wedding photography come into reality via our world-class camera lenses, backdrop, and lighting. We work very hard with the clients i.e. groom and bride to get a perfect yet artistically and aesthetically appealing wedding portrait. We shoot a cinematic wedding video that tells a story rather than just a document with every single minute of your wedding day. We put cherished wedding photos to create an exquisite album. Every single album is hand-crafted made of premium quality. While hiring our professional photographer for your wedding event you get entitled to numerous benefits. We let you pick your songs for wedding videos. You can either choose from our track list or provide one of your choice. You can work with our team to design a custom album e.g. template and album cover. You can also select from ready-made album designs. If you have a wedding planner whom you want us to collaborate and work with, we are adaptable enough to work with them. Our packages are reasonably affordable with different types of price packages which are easy to fit in your pocket. 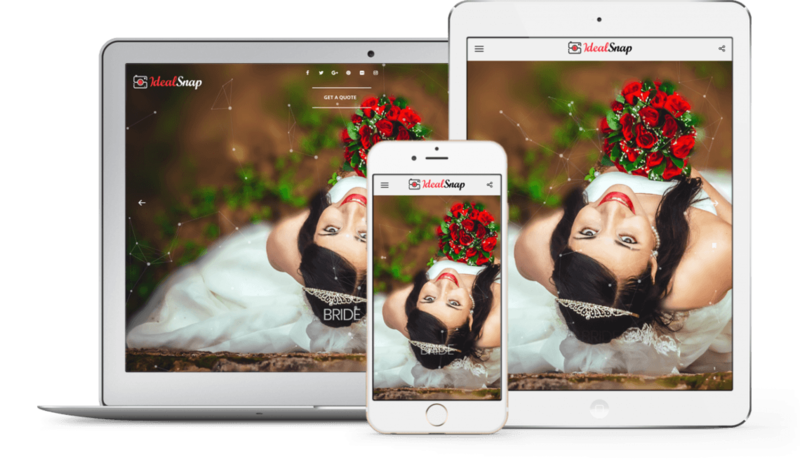 We only use state-of-the-art technology to make your wedding day. So, we use drones and dual lenses cameras. We like to stand out from the rest of the crowd. This is why we pay extra attention to the editing of photographs and videos. With every booking for a wedding shoot, a dedicated team is assigned that includes photographers, editors, & videographers. Lighting is an important component of perfect photography. To get a perfect picture, we ensure to use ultra-modern lighting tools. Ideal Snap is designed & developed on responsive structure & can be accessed on Android & iPhone. Checkout our Portfolio on your Desktop! We know you won’t take our word. So why not take out some time and spend it on watching our portfolio. Our portfolios can be seen on a desktop as well as on iPad or tablet.